This paper describes a new gravity inversion method to estimate the depth of the crust-mantle interface (the Moho). The inversion uses a spherical Earth approximation by discretizing the Earth into tesseroids (spherical prisms). The forward modeling method used is described in the paper Tesseroids: forward modeling gravitational fields in spherical coordinates. 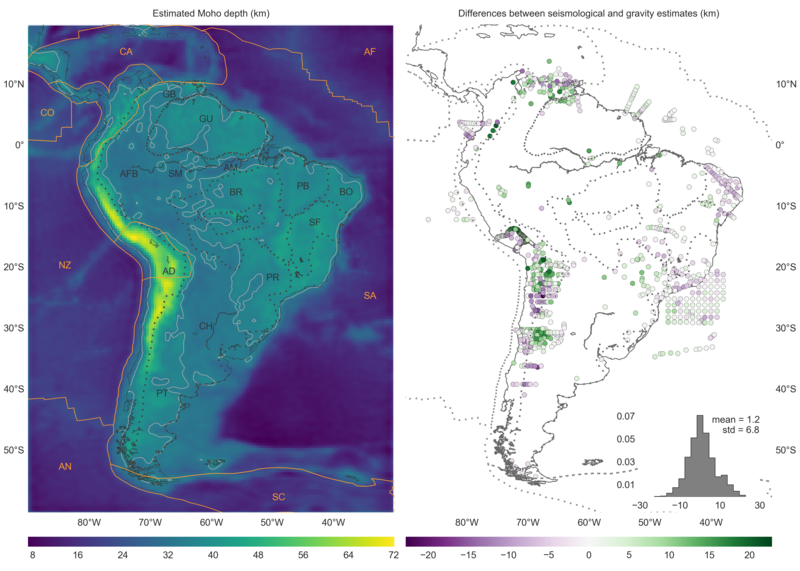 We applied the inversion to estimate the Moho depth for South America.